We organized a 50th birthday party bash up in South Lake Tahoe this summer for long, long time friends (40+ people in all) that turned out to be a blast. Great catching up with old friends and great having all the kids around, laughing and playing in the pool or at the beach as we used to do 30-40 years ago. But I knew I had to get over to Eagle Falls during this trip to make this famous composition. And after several days of hot weather, too many tourists, and tons of birthday activities going on, I was looking forward to slipping away in the coolness of the pre-dawn hours to see what I could photograph. This image is a 3-shot HDR tone-mapped in Photomatix Pro and refined in Lightroom. I also have a Black and White version of this very image that I cannot decide if I like better than the color-version here. I’ll post it tomorrow for comparison. 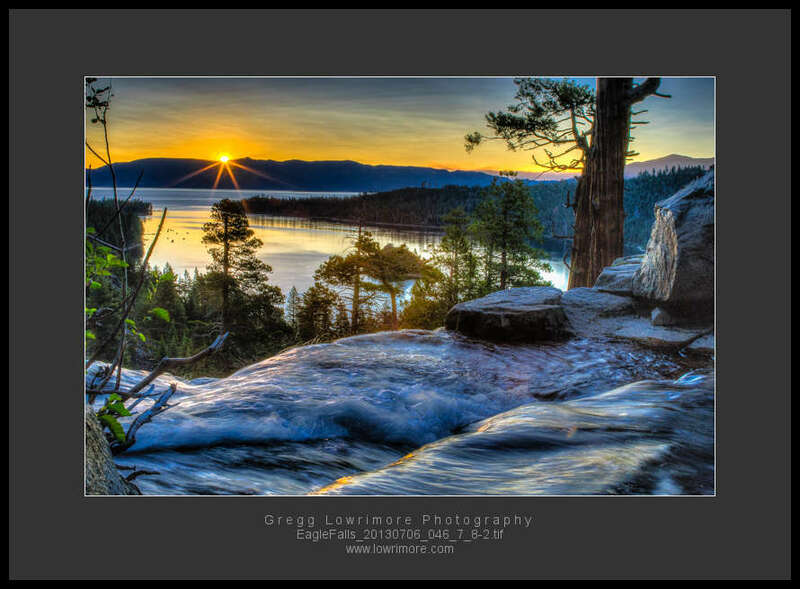 Posted in HDR, Landscapes, Nature and tagged Eagle Falls, Emerald Bay, South Lake Tahoe, Sunburst, sunrise, Waterfall by greggl with no comments yet.